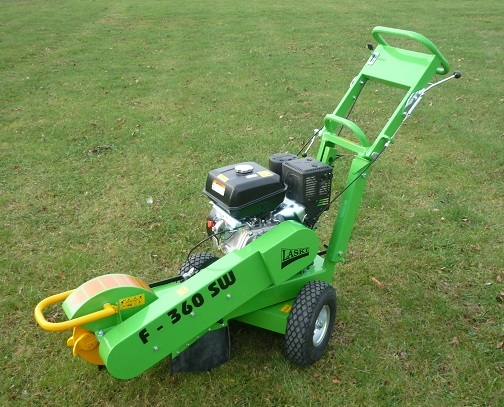 Our handy stump cutter LASKI F360 SW is based on long-term experiences with our field-proven model LASKI F350. 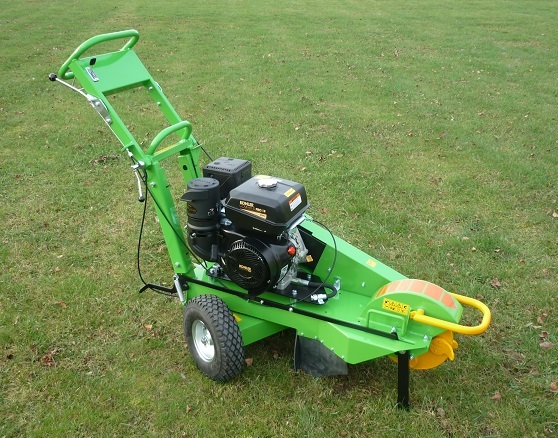 This machine is designed for cutting a stump, i.e. its above- and also under-ground part. Max. 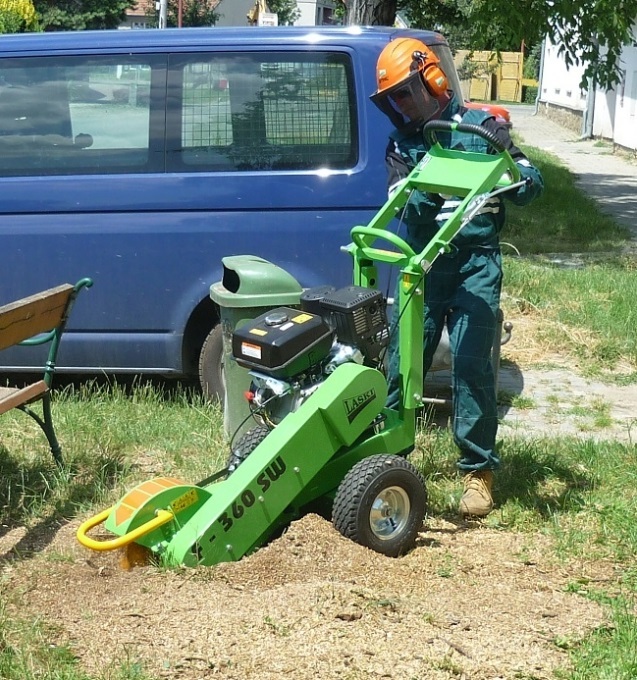 stump diameter to be cut is in fact unlimited (recommended up to 0,3 m). 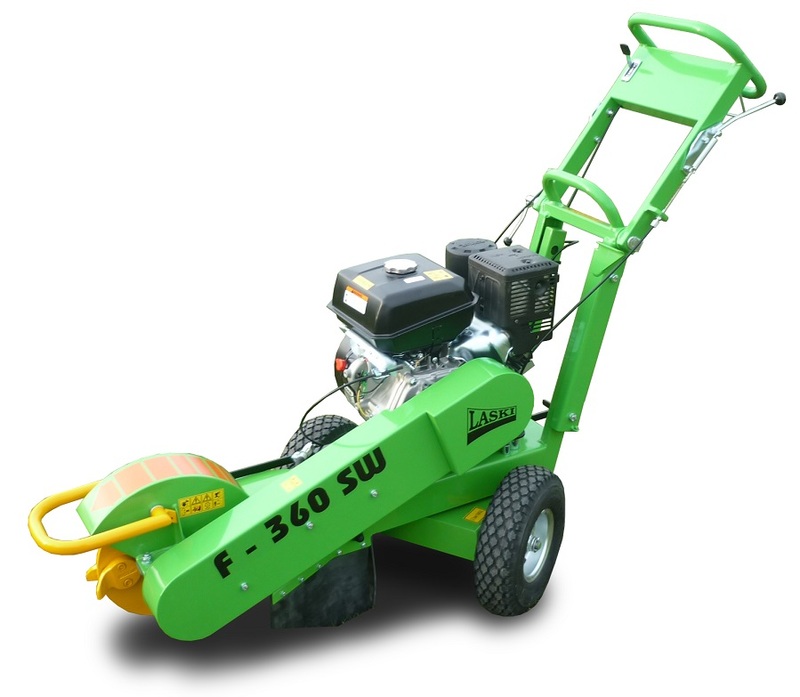 Due to its swivel base this machine newly facilitates swinging motions of the head also horizontally. 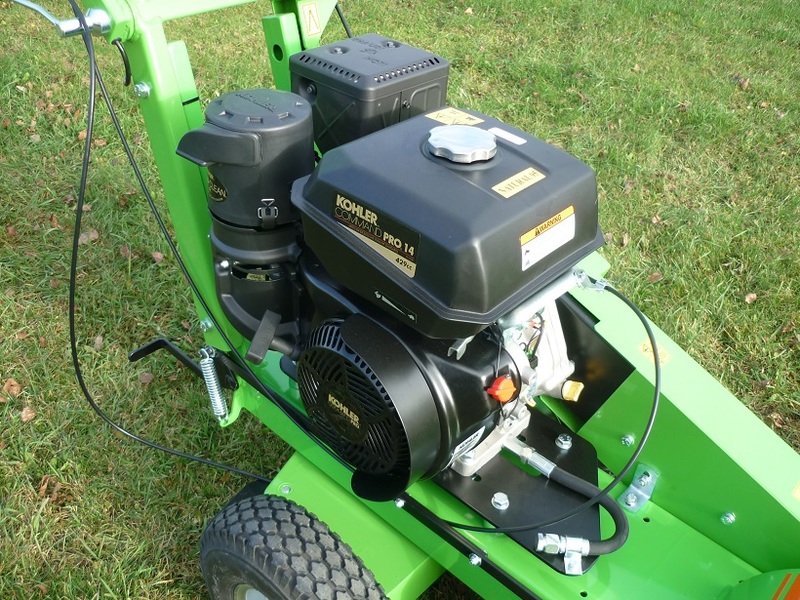 Braked chassis provides good stability of the machine. 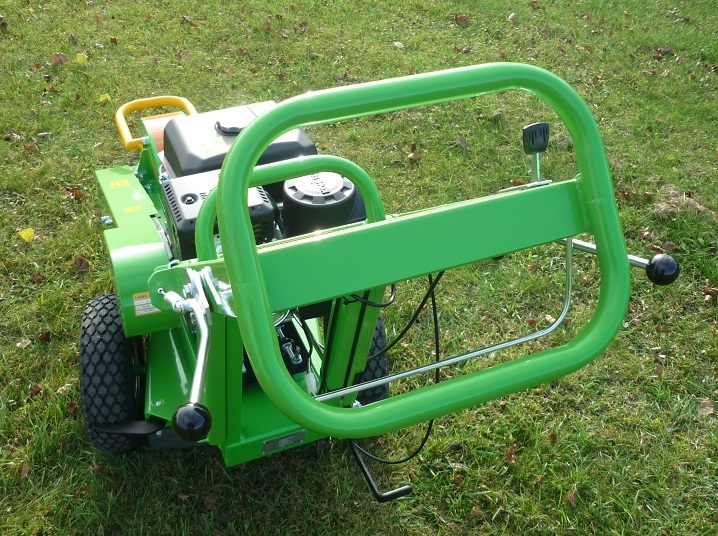 Automatic locks of the upper turnable part on the chassis and easy machine attendance facilitate any handling at work. 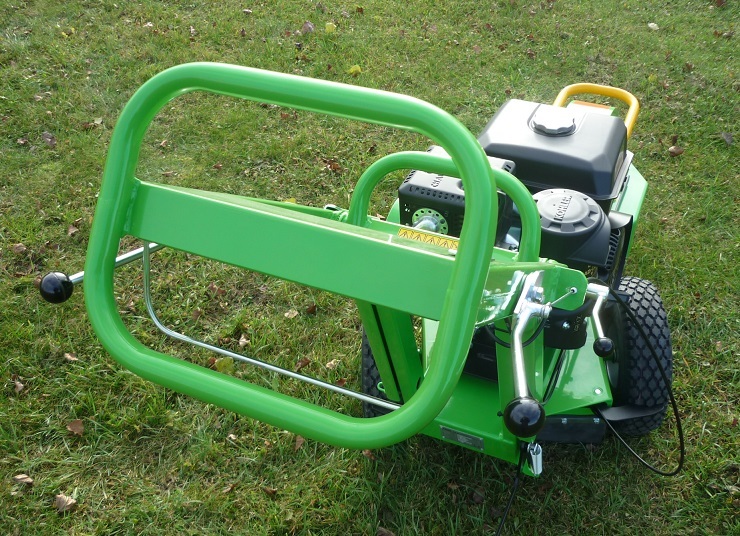 Overall width of 650 mm makes also limited spaces and narrow sites more accessible.